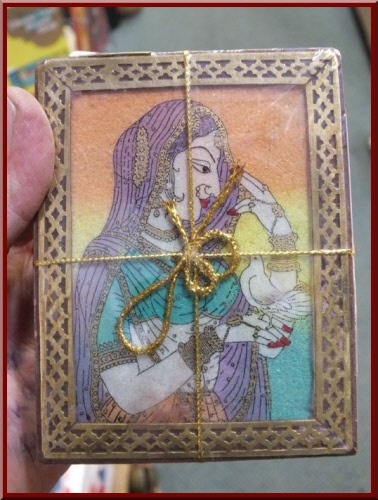 Beautifully presented this Pure Darjeeling Tea from India is inside this box with glass top with hand painted picture of Indian Lady Dancer. 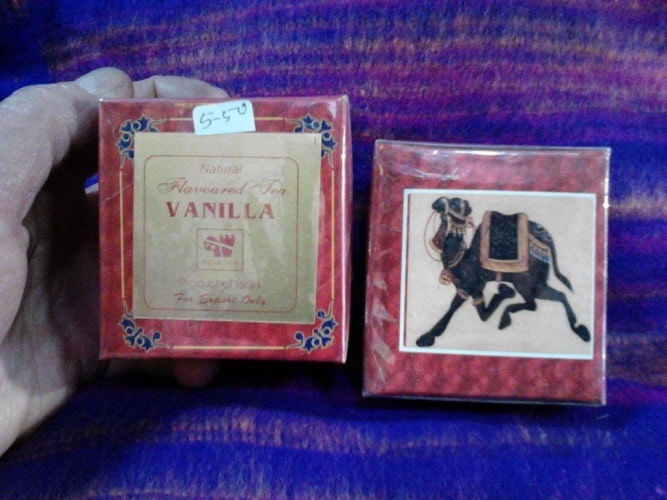 Box is made from wood with brass decoration, painting is hand painted, lid is glass. 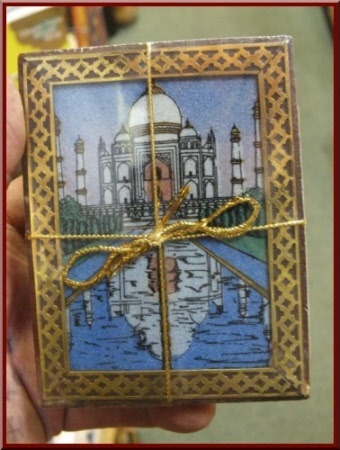 Beautifully presented this Pure Darjeeling Tea from India is inside this box with glass top with hand painted picture of Taj Mahal. 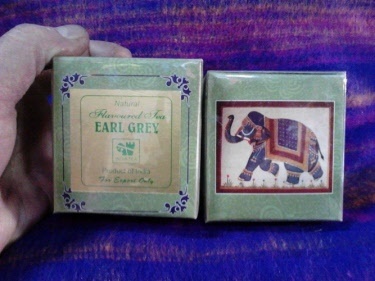 Beautifully presented this Pure Darjeeling Tea from India is inside this box decorated with brass corners and brass Taj Mahal and elephants. 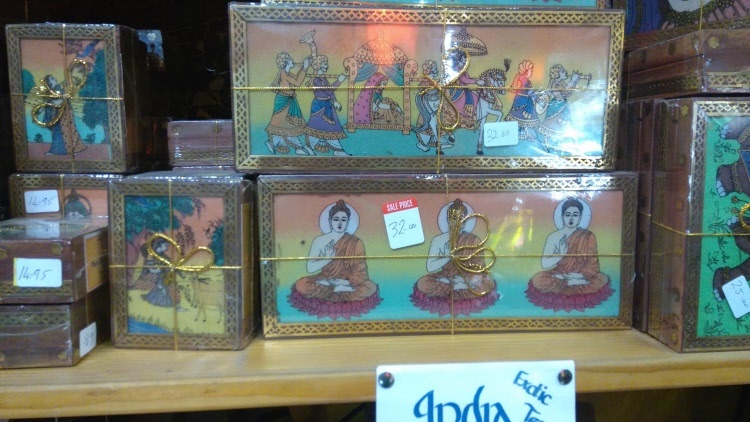 Box is made from wood with brass decoration. That's right this value pack of 300 grams of tea in total. 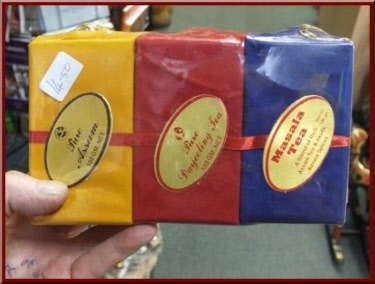 (3 x 100 gram packs in separate velvet bags. 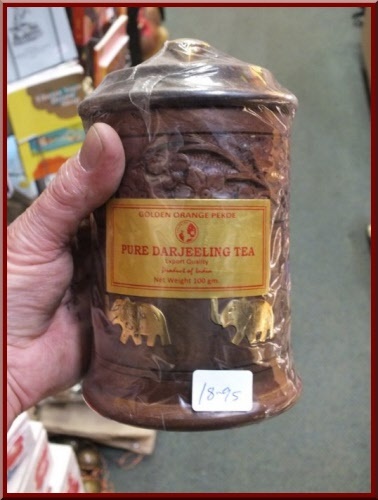 100 grams Pure Assam Tea. 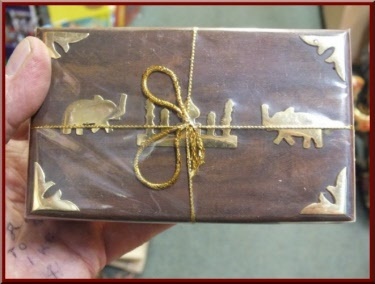 Presented in a beautiful carved wooden box with brass trimming and corners. 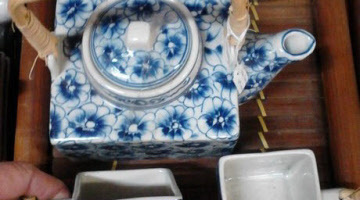 Beautiful flower design carved into the lid. 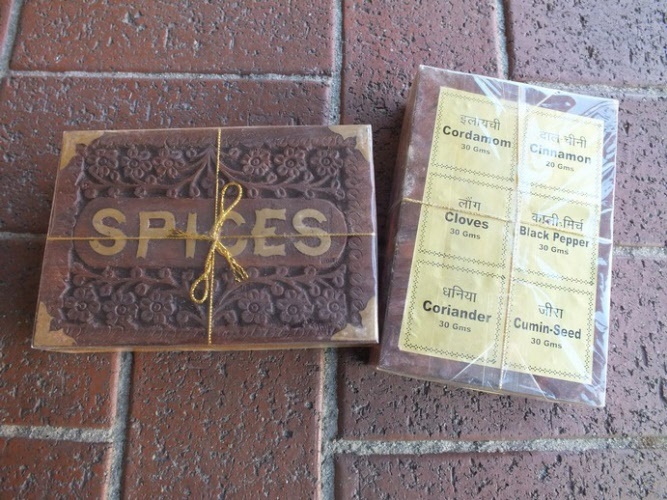 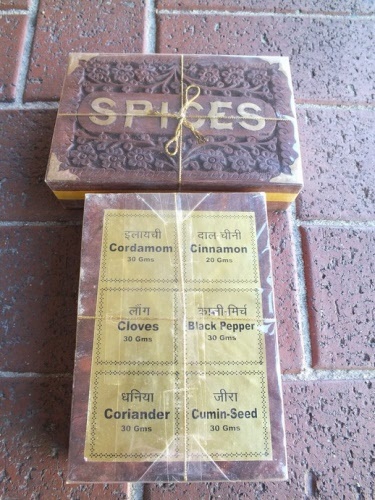 Contains: Cardomon, Cinnamon, Cloves, Black Pepper, Corriander and Cumin Seed. 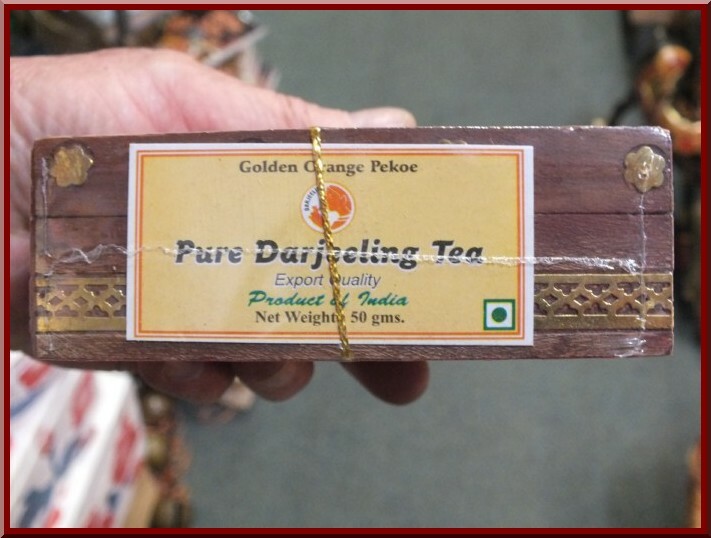 Beautiful tea direct from India the home of tea. Choose your favourite flavour when ordering. 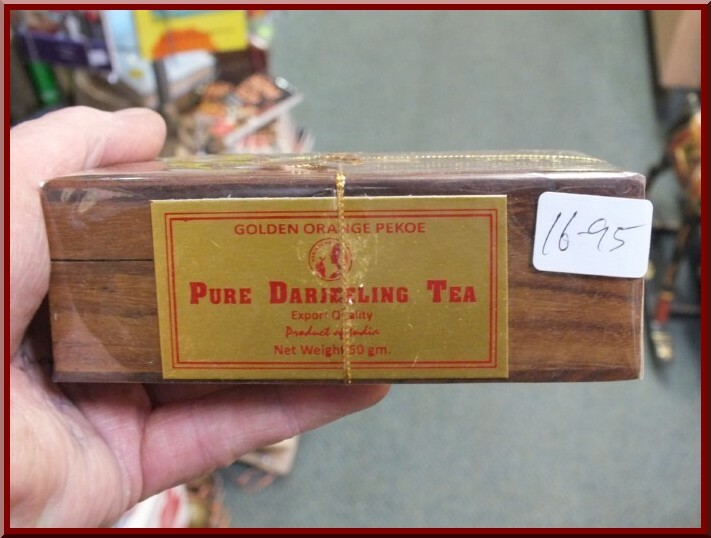 Golden Orange Pekoe Tea 100 grams inside this beautifully designed gift box. or the Indian Princess Carriage Parade (top of photo) $29.95 for one.